According to Closet Case Patterns, the Bombshell is modeled on a classic 1950’s silhouette — a style that harkens back to the golden era of flattering yet modest swimsuits. The halter neck (version B) is perfect for the bustier among us, as it gives great lift and support, especially with added foam cups. 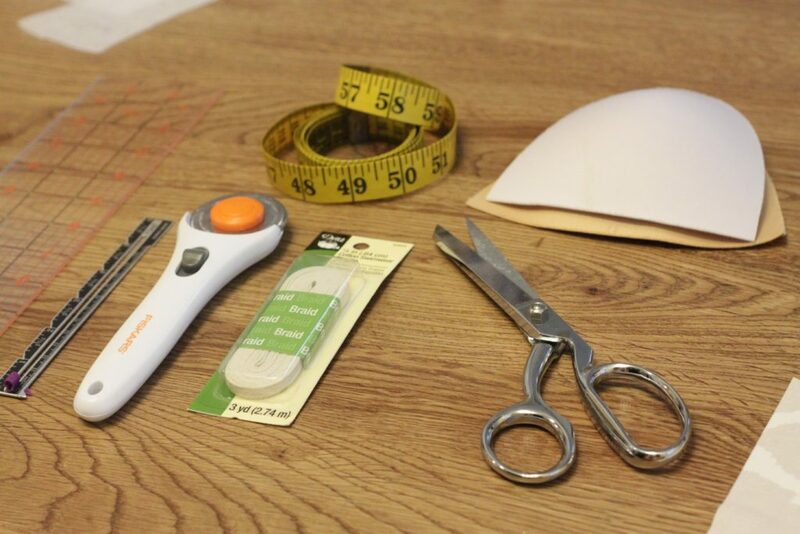 You can easily sew just the high waist bottoms and mix and match with your favorite bikini top. Version A features a super cute gathered bust maillot. Can we talk about these flattering ruched seams? I love the vintage look they give the suit, and together with the booty encasing seat and skirt-like front, the Bombshell hugs your curves while providing as much coverage as you’d like. 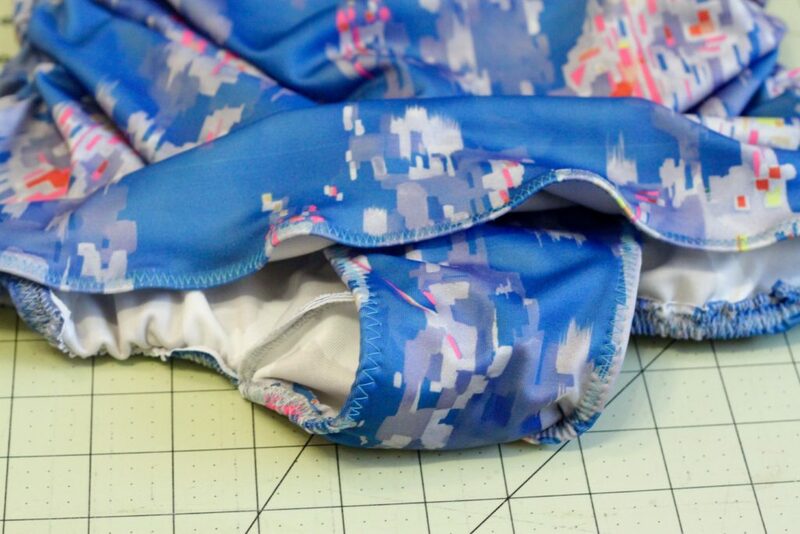 Spoonflower’s Sport Lycra is so perfect for swimsuits. It’s thick and sturdy and not overly shiny, which makes for flattering garments with a structured feel. This ain’t gonna be no flimsy suit! Plus it’s swim-approved and holds up great against chlorine and salt water. 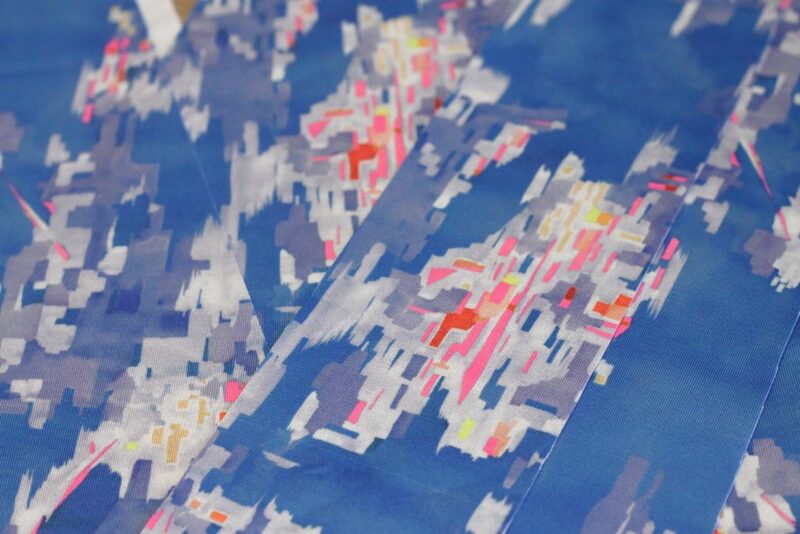 The print I used is Dealtry + Wiksten Print in Cerulean by Wiksten which prints beautifully on the lycra. This fabric is 56″ wide, so you should only need about a yard, no more than 2. For the swimsuit lining, I used Performance Pique since it has great stretch and is a little lighter. I was very happy with this fabric as lining, it’s super comfortable and easy to work with. I only used about a half yard, you shouldn’t need more than 1. The only other thing you’ll need that you may not already have in your sewing supplies stash is the braided cotton swimwear elastic, which I found online from Dritz. The foam cups I stole out of an old suit I no longer wear. Stitches: I did not use a serger for this suit, although it certainly would have made things a bit neater and more professional looking on the inside. For me, a zig zag stitch in varying widths/lengths did the trick. Want more coverage in the back or bum? Just cut your suit longer or higher! Ahhh.. the beauty of customization in swimwear. I seriously wonder why I didn’t start making these years ago. Where have you been all my life, Bombshell pattern? While Closet Case does make some pretty beautiful paper patterns (I love the fashion illustrations on the covers!) this particular pattern only comes in a digital PDF version that you can print at home or at a local copy shop. But since it doesn’t use a ton of fabric it won’t take you too long to put together at all. Plus don’t you have that one Netflix series you still need to catch up on…? 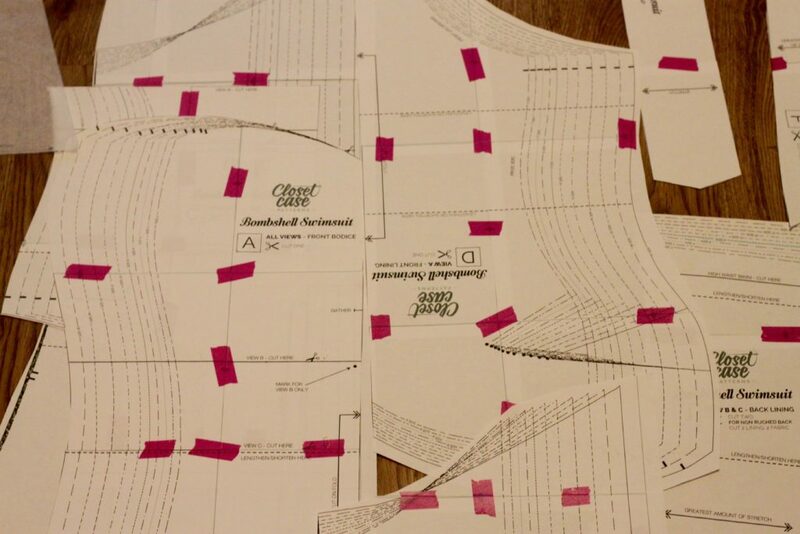 Once my PDF printed pieces were all taped together, I traced the pattern pieces onto some extra transparent interfacing I had lying around. 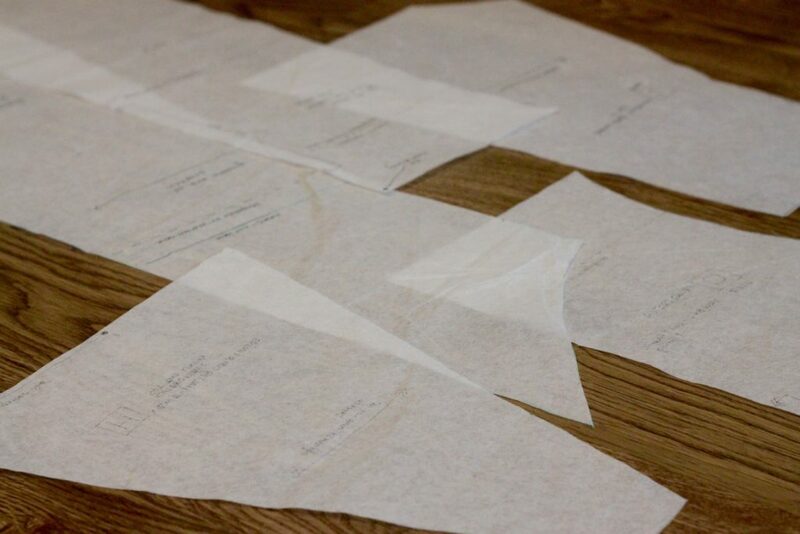 Parchment paper or wax paper also works, or you can skip this step and just cut your size straight out of the paper pieces and use that to cut your fabric. 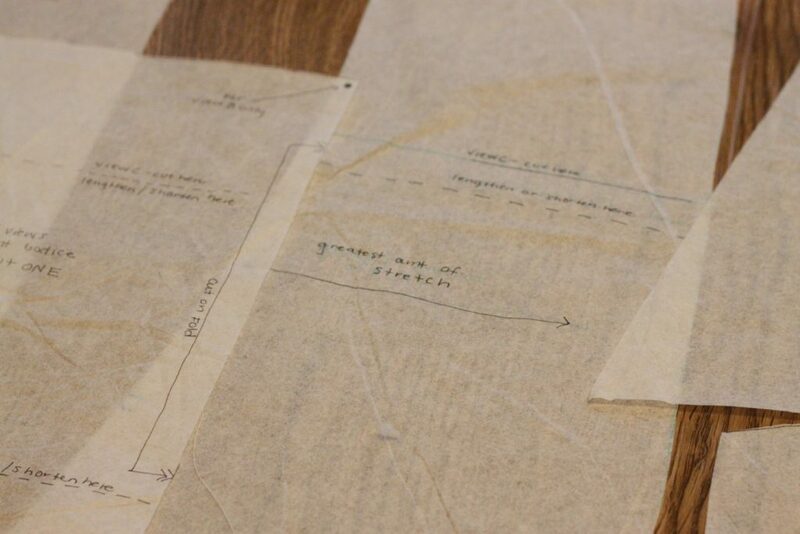 I prefer using interfacing or parchment so that I don’t have to cut into the sizing on the original pattern. 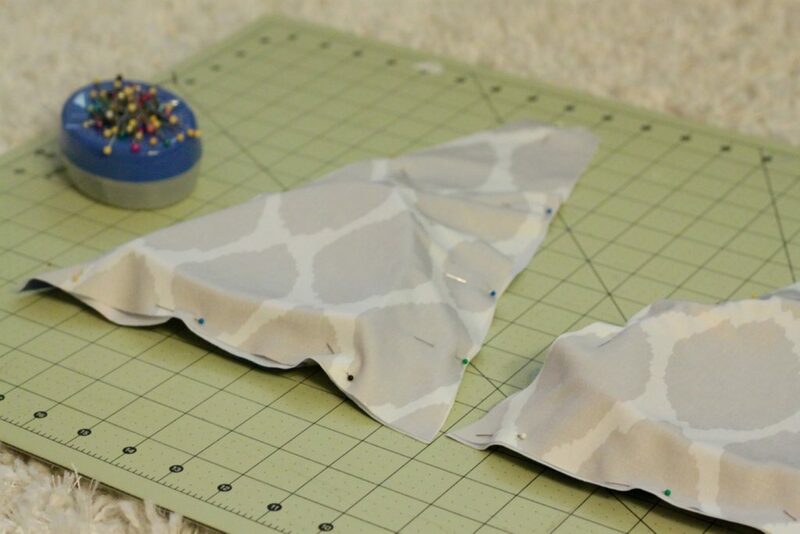 You never know whether you’ll need to go up a size or two in the future, plus the interfacing is much easier to pin right to the fabric while cutting out the final pieces. I should mention that I did not create a muslin first. Should I have? Sure. But muslins don’t pander well to my need for instant gratification. A close up of this gorgeous print and texture. I hate how some swimsuit lycra can appear really shiny. The matte texture of the Sport Lycra gives it a more elevated look. This is a close up of that lovely diamond-knit structure on the Performance Pique. It is so soft against the skin and lightweight making it perfect for lining. 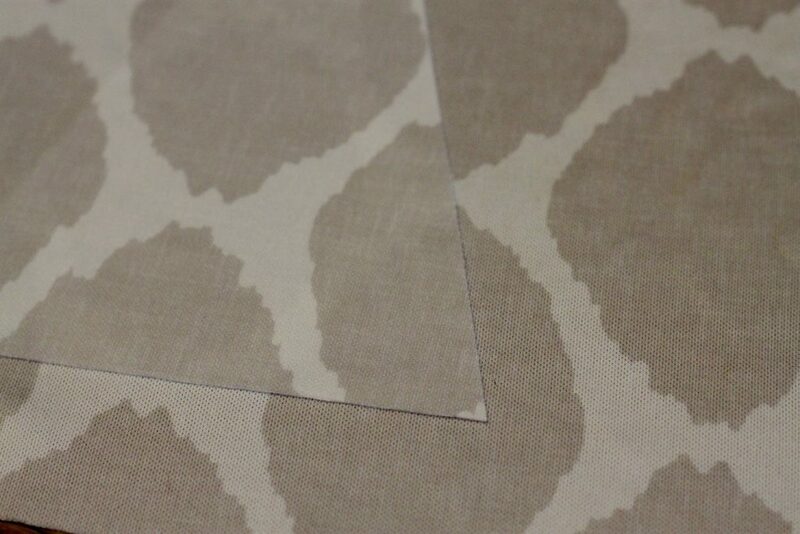 The print I used is Oval Ikat in Warm Gray Linen by Willow Lane Textiles. It complements the bright abstract main print really nicely. Highly recommend adding in foam cups. Steal some from an old sports bra or swimsuit that doesn’t get much use anymore! You’ll thank me later. After you create the bottoms, you can stop there and pair it with a favorite bikini top you already have. I of course wanted to make the most of this gorgeous fabric, though. It deserves to be the star! Zig zag stitches for the win. No need for sergers here. Be sure to use a matching polyester top thread for your top-stitching…. then again a coordinating contrast thread might be fun, too. Lovely, lovely ruching. You took so much time, but you were so, so worth it. Does the inside of the suit look professional? No. Do I care? Nope! The skirt hemline is a little wavy, yes — but once you have it on and it’s nice and stretched out like it’s supposed to be, you won’t be able to tell. Taking the new suit out for a test run of course! I couldn’t wait to get this puppy into the water. This is how I like to casually lounge on chaises. Oh, hello. You like this suit? Why, I made it myself! Even pups love the Bombshell suit. What are you waiting for? 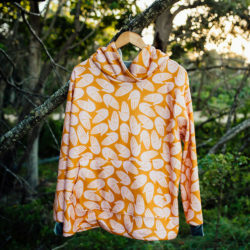 Go grab the pattern and make one for yourself! 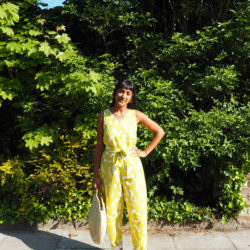 By the way, this post was not sponsored by Closet Case Patterns in case you were wondering, I’m just that passionate about this sewing experience & the results, and I think you will be too. Tag us with #spoonflower in your me-made Bombshells this summer if you use our fabrics, and let us know how fab you look and feel! Wonderful job! Wish I could sew well like that! 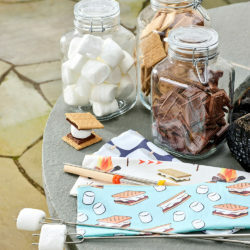 I’m totally intimidated to do a swimsuit but I keep going through spoonflower drooling at what I could do with the fun fabric. Beautiful suit, and thank you for the well timed post. I meant to sew a Bombshell last year but never got around to it, and… voila, there was your post on Instagram. 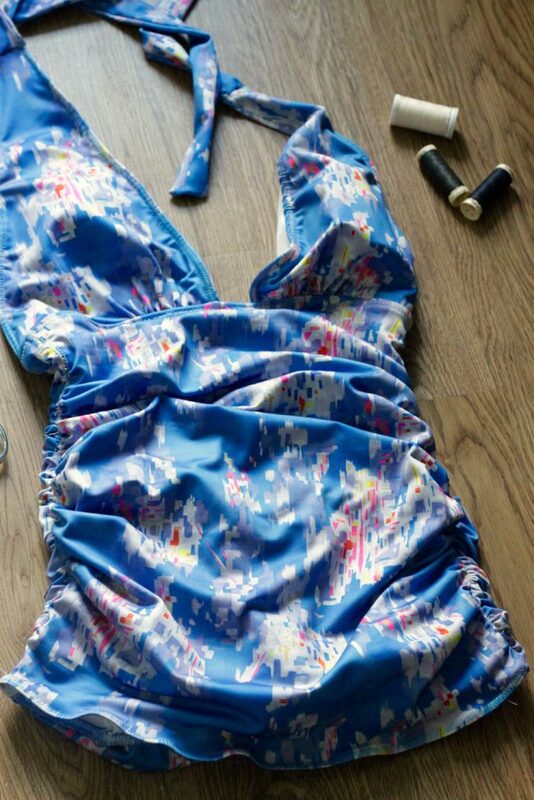 I bought inexpensive ($4/yard) vintage swimsuit fabric on Etsy because I’m terrified of screwing this up, but less so now. And I LOVE that you show how you did this without a serger, as I do not (yet) own one. I’m so glad to hear this Bombshell post inspired you at just the right time! It really is the best swimsuit I’ve ever owned, and Heather’s step by step instructions turned what once intimidated me into a worry-free, wonderfully educational sewing project. No serger necessary at all, and it still holds up after many wears! Good luck with your Bombshell, Stephany! Be sure to share pics with us so we can see how it turned out! Your tutorial definitely makes me want to try this. Very user friendly. We’re so glad to hear you found this swimsuit tutorial helpful! 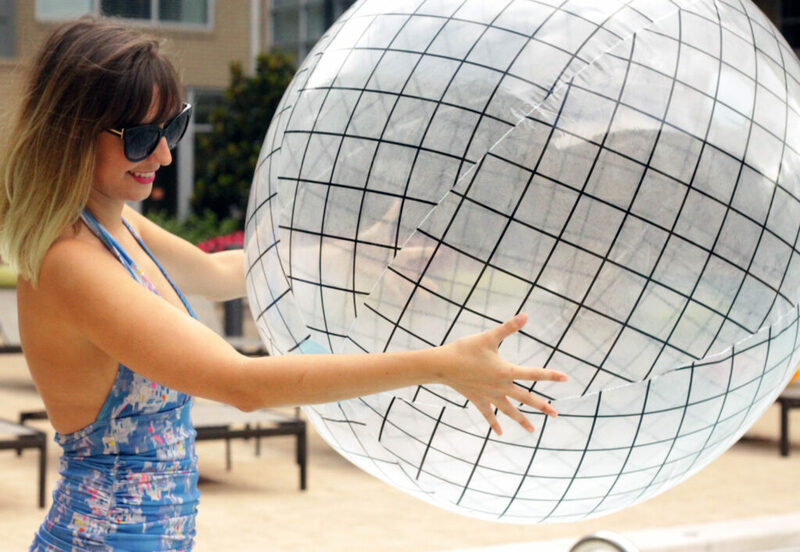 It’s so fun making your own customizable swimsuit. We’d love to see how your version turns out. Is there an way I can get in contact with Heather? Hi Jessica! We recommend reaching out to Heather through the Closet Case Patterns website. « It’s time for the 2017 Employee Design Challenge!